Welcome to LowesOnline.net: Cool Scratch Off World Map - Perfect for Travelers and for Education! Cool Scratch Off World Map - Perfect for Travelers and for Education! 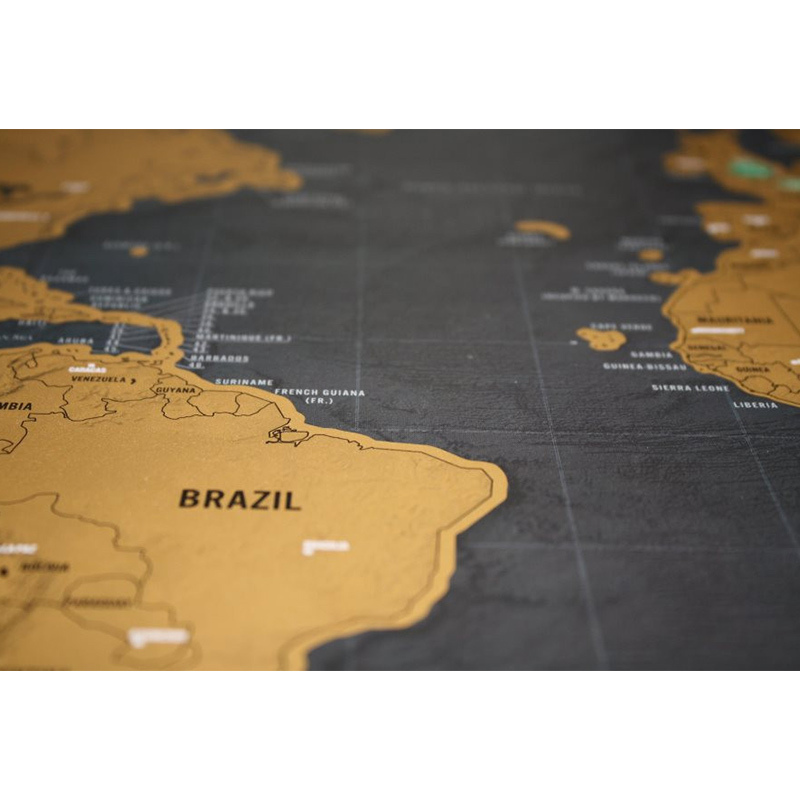 Neat scratch off world maps, personalize by scratching off the places you go! Under the golden surface of the world , you reveal a highly detailed and beautiful local map underneath. All US states included too! Printed on 275 gram heavy stock aluminum laminate. Gold on black with beautiful colors beneath; just scratch it off. Just scratch off any place you visited and display your adventures. Perfect for remembering your journeys and starting conversations with friends! 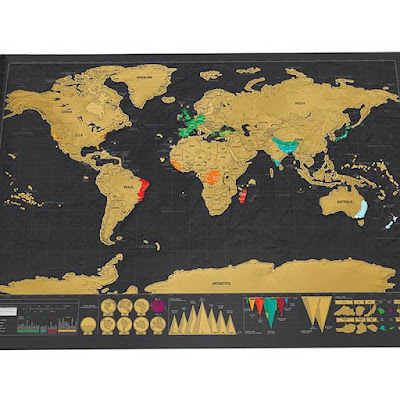 This world map poster will certainly impress and look amazing in any office, living room or study. Give your room an air of adventure. PERFECT GIFT FOR TRAVELLERS. Have a friend that loves geography and travelling? This scratch off map is the perfect gift for young and old, to keep memories of adventures alive. We have tested scratch pen tools, coins, guitar picks and many others'. While they will suffice, a high polymer eraser works best. We will include this for free. Quick free shipping from Florida via USPS 2-5 day with tracking included. Checkout here with Paypal. Be Paypal protected! - just click paypal.me/lyonia/22 in order to proceed to checkout.